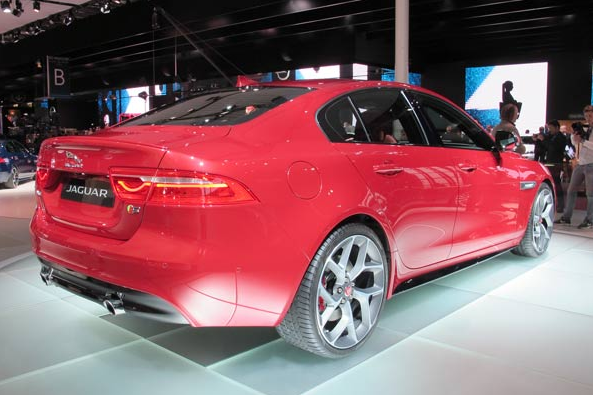 Jaguar Land Rover (JLR) can do a lot of new things on the Jaguar XE. One is the use of an aluminum chassis with a modular system, allowing it to align appropriately handling and comfort. Aluminum body provide visual modern sedan but can not be separated from the impression of a typical Jaguar nobility. Not many dramatic curves, but the silhouette is created successfully combines luxury and sporty scent. It is shown from the back. Already guaranteed a luxurious feel inside. 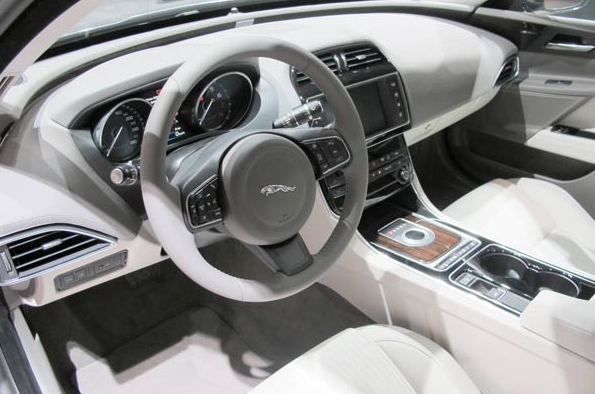 Areas in the center of the dash and center console is reminiscent of other JLR products. Quality made in solid, complete with a driver's seat position and ergonomic fit. 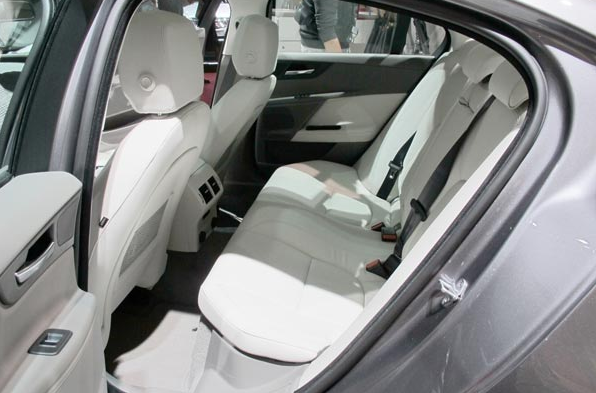 Even with the rear seat capable of offering comfort. Not easy to balance the needs of comfort and control in equal portions delish. But since XE adopt new chassis makes JLR can embed innovation on a double wishbone suspension at the front wheels. His claim, XE managed to mix formula to fit the two requirements. Including the first application of the EPS system in JLR products. Do not just relieve the wheel, can still provide a feedback mechanism that is fitting for the driver. Collaboration with other features such as Lane Departure Warning, Park Assist and Park Exit makes it feel friendly with the driver. Another new feature is the Laser Head-up Display. The laser system make the HUD look so clear, comfortable to read, and reduce disruption to the driver's visibility. Another new feature is the intelligent Start / Stop which helped performance in the ECO mode set the pattern for the engine and transmission work. InConnect a mainstay feature in the communications, navigation, and entertainment. LED monitor in the center of the dash serves as a command center, and the system can be accessed with gadgets based on Android and iOS. Lifestyle driving case, XE already has it all. Jaguar XE is equipped with a new engine coded Ingenium. Back, start all from zero makes Jaguar designers can create a variety of innovations. As injectors with 7 holes for the sake of efficiency, the application balancer shafts, as well as more advanced valve mechanism which makes it quiet at work and optimally in any engine speed range. There is a choice of petrol and diesel. For diesel, there is a choice of the type of power of 2,000 cc with 163 hp and 180 hp. 8-speed automatic transmission work together with ZF reliable here. For the petrol versions are GTDi 2,000 cc engine with a choice of power 200 hp and 240 hp. Direct injection engine technology coupled with Dual VVTi. Meanwhile, for the flagship 3000 cc V6 engine available powered twin 340 hp Vortec supercharger thanks affixes. Everything with 8-speed automatic transmission. 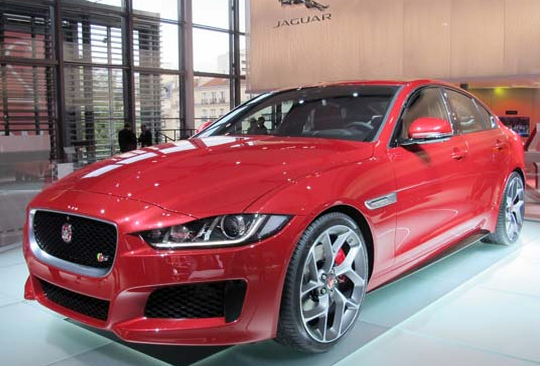 Jaguar XE is clearly a strong rival other established brands from Germany. Jaguar XE believes that is able to draw on all the benefits in all lines with fitting and accurately without forgetting the strong British style. An alluring option in the middle of the bustle of the few existing models. All-wheel drive version will be introduced next year.